Social Networks with Anna Hazare's movement: ~ Engineering projects ideas for final year students & paper presentations collection blog. There is tremendous support towards anna Hazare, where people were discussing and updating news now and then in social networking sites such as Facebook,Twitter etc.Today there is a renewed  level of patriotism agained in country mainly among the youngster.where there are group of people not supporting hazare,but they feel it is illegitimate of government to hold up anna hazare and their supporters! In social networking site like facebook,in the offical page of "India against corruption",it has acquired almost of three lakh supporters,on the otherhand two lakh supporters outpouring fan page of Anna hazare.Incase of twitter,they tweeting about Hazare and his protest most often. 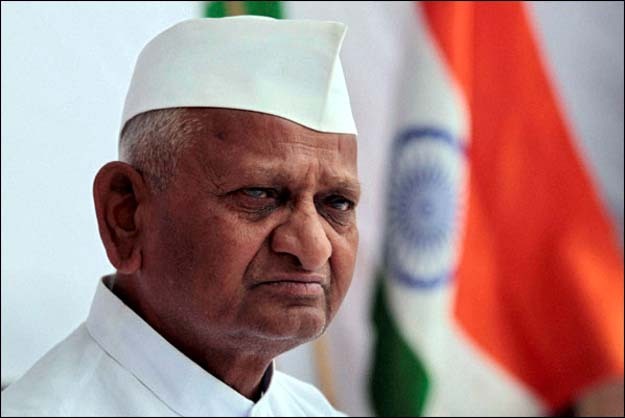 Famous personalities like Kiran bedi (ex.IPS),activist like Swami Agnivesh,Arvind kejriwal,Baba Ramdev ,film actor Amir khan were supporting Anna Hazare cause .To support jan lokpal,the government has circulated a sms ,to get 25crore supporters over Jan Lokpal.So to give your support, call 02261550789. Its free call. your call gets disconnected and your number will be registered, and after that you will get a message,"Plz do save India" (sic).upon this condition the government have received innumerable number of calls in remote areas of mumbai especially.